A bit of friendly competition tends to exists in all families – sibling rivalry being the most well-known. However, cousins have been known to bring out the best in each other as well, and in the frozen dessert industry, the most recognized popularity contest takes place between American ice cream and its Italian cousin, gelato. Since the late 1700s when gelato was first introduced to America, Italy’s crowned frozen treat has been consistently gaining momentum in the realm of acceptance among choosy consumers stateside for its overall taste, flavor, consistency, creaminess, density, and artisanal presentation. Nevertheless, as accepting as the American palate may be, many have remained faithful to ice cream, the sweet, creamy, frozen delight that has continuously dazzled the senses of the masses. 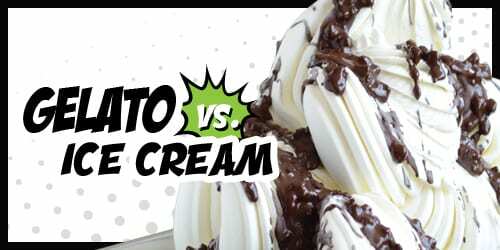 But despite the dueling cousins’ ravenously flavorful results, their wide-ranging culinary flexibility, and far-reaching general appeal, the difference in “ingredient genealogy” between gelato and ice cream fluctuates by minor degrees with special consideration to two important ingredients – cream and air. Traditionally, both gelato and American ice cream are composed of cream, milk, sugar, flavor, emulsifiers and stabilizers. However, ice cream requires more cream and some utilize egg yolk. Whereas, the quantity of milk in gelato outweighs the cream, and egg yolk usage is rare. Furthermore, the levels of butterfat differ as well. Because of the higher use of cream in ice cream, the percentage of butterfat can range from anywhere between 10 to 25 percent, in comparison to gelato, which varies between 4 to 9 percent butterfat. Overrun, the process of incorporating air into the mix of ice cream and gelato, plays a large part in the difference of the texture and mouthfeel offered by the two treats. Gelato incorporates much less air (30-35%) as it mixes than traditional American ice cream (50-100%), which makes it a more dense product and therefore creamier, despite its lower dosage of cream or reduced percentage of butterfat. Production and presentation are also varying factors between gelato and ice cream. Though the latter is very attractive, ice cream is much less formal in presentation than authentic Italian gelato. 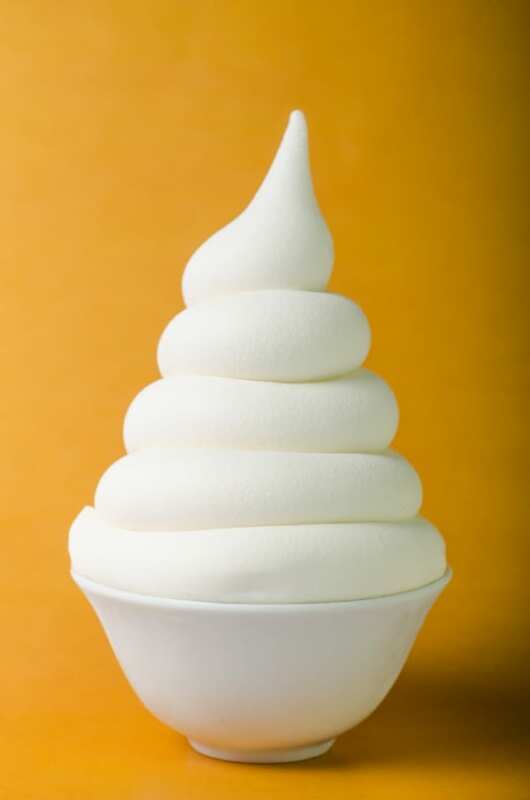 It’s normally produced in large batches, stored in deep-well tubs, served in mouthwatering firm, round scoops on a cone or in a cup, and eaten with a regular plastic spoon. 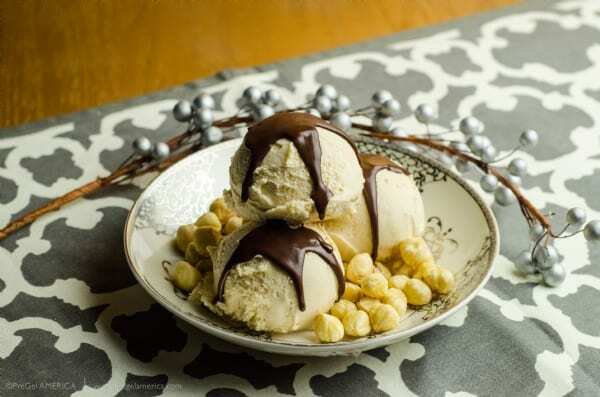 For extra pizazz, ice cream can be treated with a chocolate or fruit-flavored sauce, whipped cream, and famously topped with a stemmed maraschino cherry. Its younger cousin gelato presents a more flamboyant, artisanal display, typically in 5-liter metal pans that are showcased in a glass display case. Produced in small batches throughout the day to ensure maximum freshness, gelato is extracted from the batch freezer and is left in a wave-like structure, sculpted into mounds, or completely flattened so that the gelato surface is level with the top of the pan. True to its Italian roots, the mountains of gelato are usually well-dressed in high culinary fashion, draped in mouthwatering sauces, garnished with artistically cut fresh fruit, peppered with the actual ingredients that compose the flavor in the gelato pan, i.e. chocolate-hazelnut, or marbleized with a delicious inclusion. Additionally, Italian gelato is no stranger to more savory flavor profiles, such as olive oil, tomato/basil, or gorganzola cheese. Customarily, authentic gelato is served via spade and not scoops, making for delicious deposits of the Italian treat in a waffle cone, cup, or dish, and eaten with a small tasting spoon. Nowadays, much like soft serve ice cream, gelato is served from the soft serve machine, giving consumers the opportunity to enjoy authentic gelato that is always fresco (always fresh) with each pull of the lever. This style of gelato is also a great option for dessertpreneurs looking for alternative uses for their soft serve machines outside of frozen yogurt. Soft serve gelato and sorbetto have a one-day shelf life for optimal freshness, but the composition is equally dense and the flavor is just as intense due to the treat being served at a warmer temperature than ice cream. In terms of the general shelf life of gelato, the maximum is 4-5 days. Also, this shelf life only applies when the gelato is in the display case. If made ahead, covered, and stored in a regular freezer, it will last for a few months, just like ice cream, which lasts up to 3 months in an unopened container in a freezer; an opened container of ice cream lasts up to 2 months. Despite their similarities and differences, gelato and ice cream are the mainstays of the frozen dessert industry and remain beloved among consumers around the world. 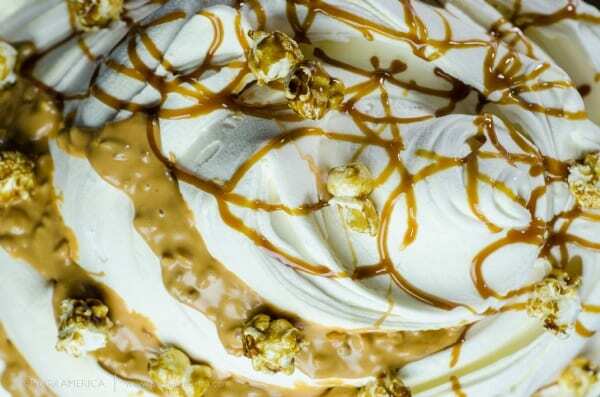 Whether served traditionally or in soft serve form, the right ingredients can make premium ice cream and artisanal gelato an unforgettable experience for dessert lovers around the world. Theirs is truly one family rivalry dessert consumers don’t mind encouraging. « WHY TWEET, LIKE OR CONNECT?